Thank you for visiting our site. Goldens are a part of our home and our hearts. Our first Golden came into our lives in 1974, and from that point on we have had a Golden continuously by our side. 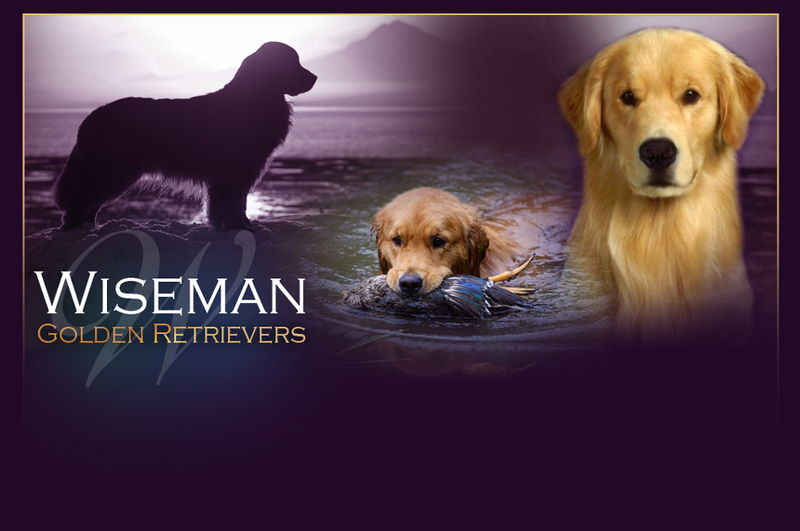 Warren and I agree that Goldens have enriched our lives in so many ways - from each pair of eyes we have met over the years to their proud owners. These friendships have stood the test of time through generations of Goldens stemming across the United States. 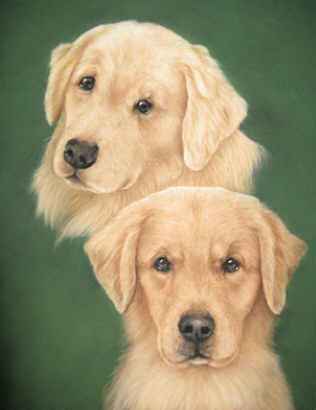 The special pastel portrait above was created by world-class artist, Judi Rideout. She totally captured our two boys, Cody, and his son, Jimmy Choo. We feel that Cody always watched over Jimmy with adoration and at the same time Cody inspired Jimmy to carry on with the same passion. We are not protected in any way from the piece of our hearts that are missing from the years gone by and the losses of our beloved Goldens. Over the years they have shared High in Trials including a 200. They shared Best in Show wins. They share start lines and finish lines, marks and retrieves. They share our lives doing some of the simplest and most wonderful things, no armbands or entries required. Along our path in Goldens there have been some key individuals who have shared our "Golden Journey." Warren and I enjoy every aspect of our breed.